BB002: STRAIGHTHATE “GRIM MEMORIES” MCD+ | BLASTBEAT MAILMURDER --- Bomb the bass, blast the beat! 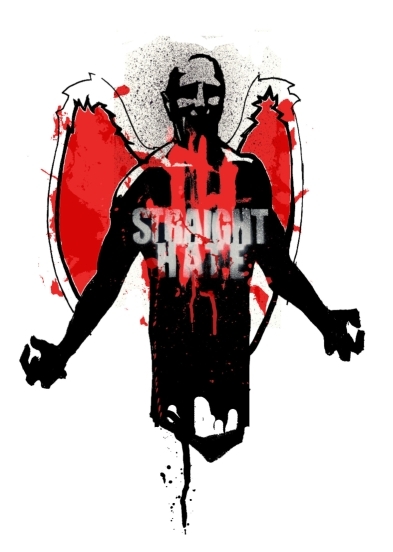 STRAIGHTHATE have been one of the most important extreme music outfits in Greece for the 00’s. This is their debut recording featuring five tracks of thrashcore and old-school grind with dual vokills, as well as a “Black Magic” cover (originally featured in Blackfish records’ tribute to thrash metal). Featuring on guitars and heavy vocals Anastasis Valtsanis from DEAD CONGREGATION fame (as well as NUCLEAR WINTER, the record label and the now defunct band).